Nothing quite says fall to us here at Rocket City Mom like a caramel apple, a little kettle corn, and a pumpkin carving contest or two. You’re sure to find all that and a whole lot more in this long list of area fall festivals, carnivals and special events. Do you know of one we missed? We’d love to add it, just send us a note at info@rocketcitymom.com and be sure to include the information listed here (e.g. Date/Time, Cost, URL, Location). 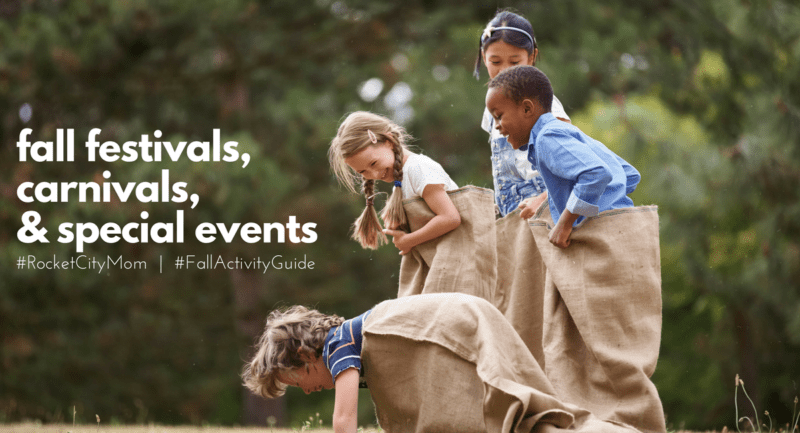 To get the full 411 about all that is happening in and around the Tennessee Valley this fall including information on Fall Break Camps, Trick/Trunk or Treating options, Halloween Parties, and more why not mosey on over to the full 2017 Fall Activity Guide. Then be sure to share the scoop with your friends so you’ll see familiar faces when you are out and about this fall season. Join us for the 22nd Annual Redstone Arsenal Family and MWR Oktoberfest, brought to you by Papa Johns Pizza! This fun event features a carnival, German music, glassware, beer and food, a Craft Biergarten, a Sports Pavilion (to catch up on the big games of the weekend and more), and more! This is a cash only event. Let’s go shopping at NEACA’s Annual Fall Craft Show. Come shop with over 150 Artists. The Show is held in the South Hall at the VBC. The Show is free to attend and open to the public (it does cost to park at the VBC). Raffle Tickets drawn every 2 hours for a $20 giftcard to be used at the show. Hours are 9 AM to 6 PM on Friday and Saturday. Sunday’s hours are 12 PM to 5 PM. A portion of proceeds go to support local charities. The Monte Sano Art Festival has been an enjoyed tradition in Huntsville, Alabama for sixteen years. In 2017 we will continue to feature more than 140 of the region’s finest artists in an array of wonderful media. Along with the outdoor festival exhibitors, 2017 will continue to feature local food trucks and musicians throughout the park. This festival is always a highlight of the arts calendar!. The event is FREE with a $10 parking fee to benefit the park. This one-mile fun run is open to any child, preschool through 8th grade. There is no registration fee, but donations to Huntsville Hospital Foundation are appreciated and will benefit pediatric oncology at Huntsville Hospital for Women & Children. Food will be available onsite (hot dogs, hamburgers and more at Buffalo Rock concessions). A portion of the proceeds will be donated to benefit pediatric oncology at Huntsville Hospital for Women & Children. Children who finish the race will receive a t-shirt. Parents may run with smaller children, but adults do not receive t-shirts. More Info: Website | Register (by Sept. 20) or onsite day of event. Enjoy the oncoming fall weather by strolling, shopping and sipping around the Square Downtown at the final Friday Night Art Walk. There are dozens of vendors with a wide variety of arts and crafts as well as live music. The event takes place during open entertainment district hours, so adults, feel free to stroll with your favorite beverage while shopping and enjoying local art! Sponsored by Friends of Sharon Johnston Park, Inc,, a non-profit 501(c)3 organization, funds from the FALL Festival will be used to establish the Pioneer Village at Sharon Johnston Park, a 19th Century rural village being set up as a living museum for visitors to the park. The event is a family-friendly event with inflatables, old-fashion games (potato sack races, tic-tac-toe, pumpkin bowling, etc), food, hay rides, and horse and buggy rides! Girls Science and Engineering Day is for girls in the 3rd – 5th grades. The girls attend four, 40 minute hands-on workshops on a variety of topics from biology and living things, to space and rockets, doctors and nurses, stars and planets, mathematics, physics, experiments, robots and more! All activities will be in the Shelby Center for Science and Technology on the UAH Campus. The girls will be supervised and escorted at all times. Parents will drop girls off between 9:00 – 9:45 a.m. at the courtyard entrance on the east side of the building. The cost for the day is $20.00 per girl including lunch, all workshop materials, snacks, and souvenirs. Cancellations are not refundable. Join us for a full day of German-inspired fun! We’ll have an afternoon of live German music, German beer (for 21+) from Straight To Ale Brewing and Yellowhammer Brewing in purple cups, and German food! We’ll also be playing Oktoberfest games all afternoon where you can compete both individually (stein hoisting and grain sack toss) and as a team (brat toss and liter stein bucket race). Once the sun sets, we’ll be welcoming 45 Surprise to the outdoor stage to conclude the evening. Bring your lawn chairs, blankets, and even your kids and/or leashed dogs to enjoy the first Downtown Huntsville Oktoberfest! Held at Sparkman High School in Harvest, this is the second annual Sparkman Arts Festival. Billed as an art meets music meets book festival meets craft fair, this event is sure to be fun. Food trucks, local artists, musicians, authors, and crafters will be selling their handmade products. Proceeds from this event will be used for the creating of the literary magazine, a student-run publication. These guided hikes offer natural beauty and exercise for the entire family! They’re free, but donations to help preserve green space are accepted. You don’t need fancy equipment! However, we do recommend long pants and comfortable shoes with good tread, bottled water, hiking sticks, trail snacks, and a camera to capture the experience. Dogs welcome, but must be on leads. In case of rain, hikes will be cancelled. Please verify cancellation via the website or on Facebook Page. 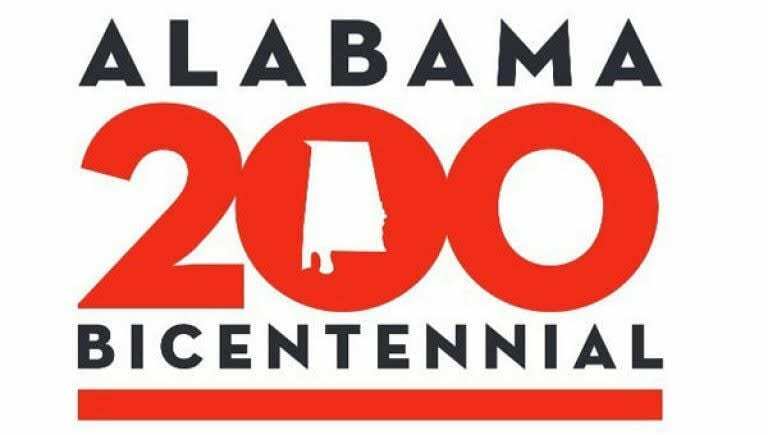 This week long celebration of Eva, AL history and community includes a bluegrass festival, the worlds largest hayride, community singing, and concludes with “The Big Day” on Saturday, September 30th. Enjoy an antique tractor and car show, parade, a baked goods contest, live entertainment, contests, raffle drawings, plus games for all ages – rides, train ride, etcetera, food vendors, and much more! The HOTC is hosting the 15th Annual Dog Fair at Monte Sano State Park September 30, 2017 from 9 a.m. to 3 p.m. It is attended by thousands of people each year, many bring their dogs, others adopt dogs from the local rescue groups and humane society. There are over 160 volunteers that help with the dog fair. We will have a microchipping clinic, six rings of activities where many people can participate with their dog, such as agility, rally, testing your dogs manners for AKC Canine Good Citizen, nose work and other activities. There will be prizes, vendor displays and tips on training your dog. Bring your pup, but don’t forget that leashes are required! What’s cooler than medieval weapons launching pumpkins through the air? Watch teams blast pumpkins using their homemade catapults, air cannons, or trebuchets. While there, enjoy a day of fall family fun! In addition to seeing the pumpkins fly, families can enjoy activities such as pedal carts, jumping pillows, hay rides, and corn cribs. Gates open at 9 a.m. and the competition starts around 10. Proceeds benefit Holy Family School’s Restore the Mission campaign. Let’s have some fun during Fall Break! Drop by during your day to enjoy some time letting your child’s creative side exercise.These pieces of art might be perfect gifts for grandparents, if you can part with them. Just in case, wearing clothes that can get dirty, or painted are suggested. All materials will be provided free of charge. In the event of inclement weather we will be in the Education Building. Where German Heritage is greeted with a Southern Style! 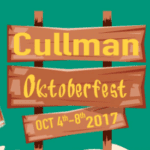 8 days of traditional German Music, food, dancing, Classic car show, arts & crafts, Hundfest, Bratwurst Eating contest, Miss Oktoberfest, the Burgermeister Ball, Stein Hoisting contest and our very own Cullman Comnunity Lion’s Club Bed Race are just a few events that you can enjoy while visiting our Craft Beer Garden located in our entertainment district. Authentic German Dinners hosted throughout our downtown, along with guided walking tours, shopping, music and fun, bring Cullman’s German History to life! The plant sale is open to the public featuring unique plants, trees and shrubs native to Alabama. It will also feature plants that attract birds, bees and butterflies. Activities will include garden talks, vendors and soil testing by Master Gardeners of North Alabama. There will also be children’s activities! The 53rd Annual October Boaz Harvest Festival in Historic Downtown Boaz, Alabama, will feature over 225 arts & crafts booths, a food court, and a kids area with free inflatables. There will also be an antique car show, the Miss Harvest Festival Pageant, live entertainment, and even a Moon Pie & RC Cola eating contest! New this year is the Antique Tractor and Engine Show. It promises to be fun for the entire family! The Madison Street Festival has been recognized as one of the top 20 fall festivals in the State of Alabama. With hundreds of vendors, artisans and performers, the MSF has something for everyone! Attendees can expect great art, arts and crafts, exhibits, demonstrations, entertainment, a variety of food vendors, a community parade, information vendors, a children’s tent with lots of activities and FREE inflatables, and much more! Drop in at Hays Nature Preserve for some delightful stories and fun crafts with Operation Green Team! 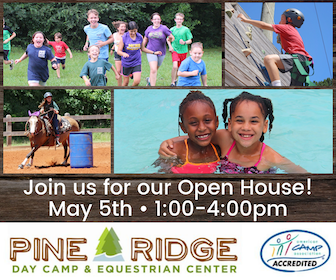 All activities are FREE and geared toward ages 3-9, though all ages are welcome. Reading and crafts will be held at Terrame Natural Playground. If it rains, activities will be held in the Education Building near the entrance of Hays Nature Preserve. 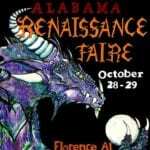 The 50th Annual Gem, Jewelry, Mineral, and Fossil Show will be Friday, October 13, through Sunday, October 15th , at the Jaycee Community Center on Airport Road, Huntsville, Alabama. National and International Dealers will have gemstones, fossils, jewelry making materials and equipment, art pieces, and custom jewelry of every type and price. Bring the whole family! 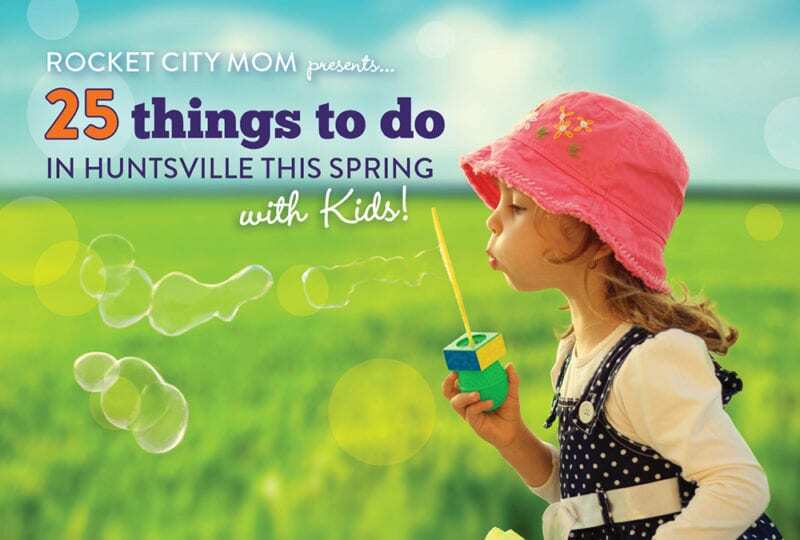 Kids can look for treasures in the gem dig, mining flume, and more! Hourly drawings, demonstrations, Geode cracking, food service, and ample free parking. Randolph School invites you to a morning of outdoor family activities on the Drake Campus track. Activities include: a Kid’s Fun Run & obstacle course, a Touch-a-Truck showcase for younger children, raffle giveaways & refreshments, and interactive activity stations. Plus, families can stroll around the track or watch the college football pregame show on the big screen! Back by popular demand, the next Lowe Mill A&E Car Boot Sale is scheduled for 2017! Come shop from a variety of vendors set up on our East Field Parking Lot to sell gently used items out of the “boot” of their car. Based on the ridiculously popular British model, this event is a mobile outdoor flea market. Browse a huge selection of antiques, jewelry, vintage and casual clothing, 90’s CDs, cartoon lunch boxes, furniture, tools, and original artwork. If you are seeking a unique or one of a kind item you can’t seem to find anywhere else, chances are you will find it here. Come haggle with local sellers and get the deal you have been hunting for ages! Join us at Big Spring Park East as we come together to celebrate the impact of a wish and raise much needed funds for kids, all while chunkin punkins at the 2017 Punkin Chunkin Fall Festival! The Make-A-Wish Alabama Punkin Chunkin Fall Festival will feature a group and individual punkin chunkin contest, food trucks, live music, a kids area full of pumpkin-inspired carnival games, costume contest, and a silent auction! Grab your family and your friends and come out for a fun day! All proceeds will benefit Make-A-Wish Alabama and will help grant wishes to the 90 children waiting for wishes in North Alabama. Please join us for the best in local and regionally produced short films at our 13th annual Rocket City Short Film Festival! All genres will be featured, from music videos to drama to comedy to horror. About 2 dozen films, each lasting 15 minutes or less, will be shown in order of equivalent MPAA rating: G & PG first, a short intermission, then PG-13 and R equivalent (families with young children may wish to leave at intermission). But don’t worry, most of the films submitted are family friendly! Awards for the Fest are presented at the end of the night, including three juried awards for 3rd, 2nd, and Best in Show, followed by an Audience award of $100 for the film with the biggest applause, and a $50 award for Best Youth entry (17 and under). This is a FREE to the public, fun family event and market featuring numerous food, clothes, and art vendors! Come out and support Buckhorn Middle while shopping vendors such as Lula Roe, Pampered Chef, Damsel in Defense, and Kristie Jaye Jewelry. Pop Up Parks returns to Huntsville this fall, and will feature the 2017 theme “A Vision for Huntsville” with 10 parking spots being converted into mini-parks around the Downtown Square. The 10-day event is free to attend and open to the public, so bring the kids down to check it out! Annual Alabama Gourd Festival theme “Gourds from the Heart” at the Cullman Civic Center. Enjoy the beautiful works of art made from gourds. Find that unique gift for someone special on your list or something for yourself. You will find plenty of raw gourds, supplies and tools for purchase. Children can decorate their own ornamental gourd for free. The whole family will enjoy touring the fabulous ribbon competition exhibit room. Learn something new as gourd artist demonstrate their art techniques, or take a class from an experienced gourd artist. For one night only, digital art projections, colorful light and environmental design will transform all four sides of the Downtown Square into a living work of art! This juried festival celebrates the uniqueness of Huntsville through the fusion of light, innovation and technology. 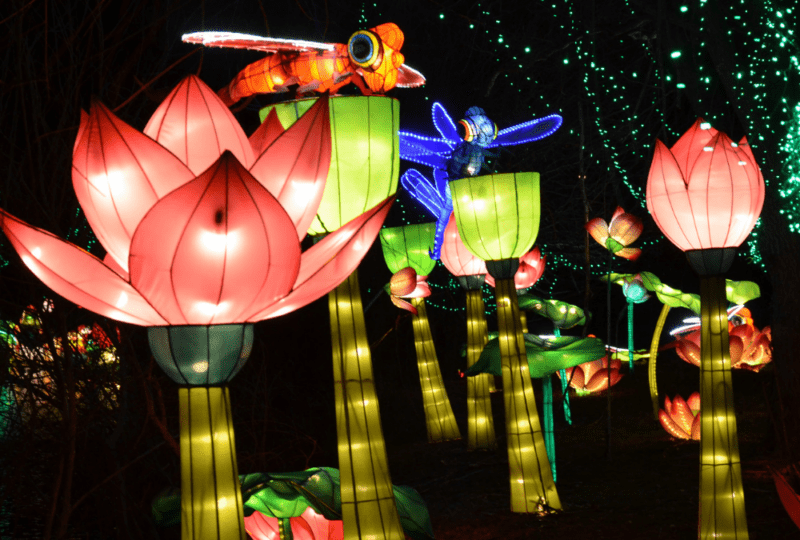 Attendees will enjoy lights moving to music, 3D mapped content, interactive video and light displays and projections. Videos, LEDs, music and computer-generated art will surround the square with color and sound. Downtown Huntsville Inc. and Arts Huntsville encourage attendees to make an evening of it. The night lights up from 6pm to 10pm and area restaurants will be open for business along with local food trucks to join the fun! Join us for the first annual Fall Vendor Market, sponsored by Grissom High School Dance! Various vendors will be available including Grace Girl Beads, Pampered Chef, Scentsy, Origami Owl, LulaRoe, LipSense, Matilda Jane, and many others. We will also be having a silent auction and concessions will be available for purchase. Come complete your Fall and Winter wardrobe on LuLaRoe Lane – a multi-vendor pop-up – and then shop our fabulous crafters and vendors and get started on your holiday shopping. Let the kids bounce and slide and participate in our free kids activities and have lunch at the Cajun Cravin food truck and top off the day with a scoop or three of Handel’s Ice Cream. Each year the Peinhardt farm is open to the public for one Saturday in October. The farm is opened for everyone to come out and experience history in a setting that will take you back in history and allow you to actually participate in some “hands-on” work. Exhibits and demonstrations are spread over 40 acres. Events have included old time woodworking, mules, horses and wagon rides, antique tractor shows, petting animals, sorghum syrup making, grist mill, blacksmith horseshoeing, and the sawmill. Please drop by anytime between 6:00 and 8:00 PM to enjoy this fun evening filled with games, crafts, face painting and more! Dinner will be provided. Though the fall festival is open and free to everyone, we encourage you to bring a new toy to trade for treats! All toys collected will be stored and distributed to families in need during the Christmas Holidays. Cost: FREE, but please bring a new toy! On Saturday, October 21 from 1-10 pm, the Von Braun Astronomical Society will host its annual Astronomy Day at the VBAS facilities in Monte Sano State Park. Events will include family fun activities hosted by local science groups, planetarium shows and telescope observing (weather permitting). All activities are free and open to the public! Outdoor hands-on activities from 1-5 pm will be offered by VBAS, as well as local science enthusiasts. In the past we have had representatives from HAL5 (National Space Society Huntsville Chapter), U.S. Space & Rocket Center, and Lonnie Puterbaugh: Astronomy Van. Short planetarium shows will allow guests to view the night sky indoors, while special solar telescopes outside will offer views of sunspots and solar flares. Visitors may tour both observatory facilities to hear stories about the construction and installation of the telescopes. Evening activities will kick off at 7:00 pm with a presentation indoors by our keynote speaker. 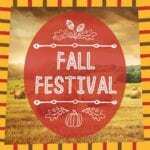 Fall is in the air and that means it’s almost time for a fall festival at Asbury Church Harvest. We look forward to welcoming everyone from our community here on our Harvest campus for free food, live music, horse rides, and lots of fall fun and games! Families and friends of all ages are invited to this Community Fall Festival! There will be food trucks on site, featuring Doctor BBQ, Golden Years Ice cream, and Layers Desserts. Entertainment includes games, candy, inflatables, and family-friendly fun! Columbia Elementary School hosts their 3rd Annual Community Fall Festival! This family-friendly event is free admission and is open to everyone in Madison and the surrounding areas. We will have food trucks along with inflatables, carnival style games (including a dunk tank & water balloon launchers) & prizes, rock wall, bingo, 40+ arts & crafts vendors, live music, and a silent auction! Come join us for games, prizes, face painting, art contest, photo booth, free blood pressure checks, vendors and more at our first ever fall festival! We are also celebrating our 1st birthday! Folklife festival will showcase craftspeople, artists and presenters who will share their knowledge about the traditions, skills, handicrafts and arts of our region during the 1800s and early 1900s. Come hear traditional music, see Appalachian dance, and watch demonstrators as they show you how our ancestors worked, lived and created art. Skills that will be demonstrated include: blacksmithing, flint knapping, Native American flute making and playing, spinning, quilting, open hearth cooking and much, much more. Friendship’s annual Harvest Fest is always fun for the whole community! Our North campus event will be Saturday, October 28 starting at 5pm; we will enjoy games, free food, a hayride and smores! Our Lucas Ferry campus event is Sunday, October 29 starting at 4pm. This year we’ll all enjoy games, crafts, inflatables, food, and live music! Tailgating has never been so fun! Plan your trunks, trucks, cars, games or activities around any high school, college, or pro sport of your choice (basketball, football, soccer, golf, cheerleading, etc.). Bring the family to enjoy candy, games, a DJ, food trucks, and the Crazy Tie Guy! The city of Hartselle will close historic Main Street for this fantastic evening of free family fun and festivities.Hay Day is coming back bigger and better than last year! We will have more inflatables, more hay rides and lots of candy for the kids – and don’t forget the costume contest! Join New Salem Baptist Church for their 5th Annual Craft Show! This show will be a great time to get a jump start on your Christmas list (or just get a little something for yourself) while shopping nearly 50 vendors as well as food trucks. Join Blossomwood Elementary School for the 2017 Fall Festival! 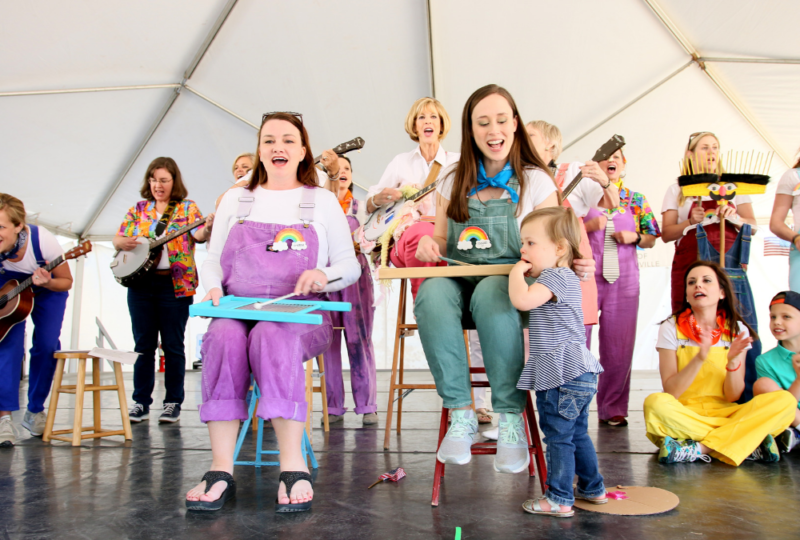 This Blossomwood community tradition is a family fun event for all ages. Features a silent auction music, carnival games, food trucks, and so much more. Admission is free, but activities require a purchase of tickets. 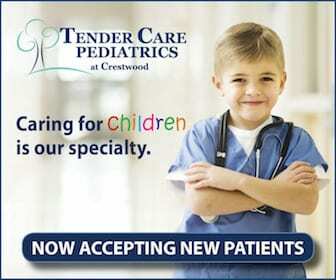 Calling kids of all ages! This free fall festival is the perfect opportunity to dress up in your favorite costume, trick-or-treat, play some games and enjoy free refreshments. All families, neighbors, friends and guests are welcome to the festival, which will be located on the St. Mark’s Lutheran Church campus, situated in downtown Huntsville at the corner of Franklin Street and Longwood Avenue. Come rain or shine! Mark your calendars for Columbia Elementary’s 3rd Annual Fall Festival! This family-friendly event will have food trucks, inflatables, carnival games, face painting, arts/crafts vendors, a rock wall, a silent auction and more. Come enjoy a day of FREE fun with Capshaw Baptist Church! There will be a hayride, petting zoo, pony rides, inflatables, live music, free food, games and prizes and more! Join us for inflatables, games, a hayride, and s’more’s! Kid-friendly costumes are encouraged. Free fun for little bitties, big kids, and everybody in between! Rain or shine. Hunt+Gather (H+G) is a brand new annual juried & curated artisan & makers market, featuring artisans, makers, creators, & innovators from North Alabama & the Tennessee Valley! The market will be open all day, then from 6PM-9PM, we’ll shut down in style – with a street party including live music, food trucks, & more! H+G will be held in the old drive-thru at the Regions Bank building, at the corner of Spragins & Holmes, in Downtown Huntsville. We’re celebrating 50 years of the Eleanor E. Murphy Library Branch! Join the party with games, candy, and prizes all day, with the reception and refreshments at 2PM. We hope to reach the volunteers and other staff who first helped start the Charlotte Drive/Eleanor E. Murphy branch in 1967 and through the decades, so please pass this invitation on to anyone who fits in that category! For more information contact Annie Phillips at 256-881-5620 or aphillips@hmcpl.org. 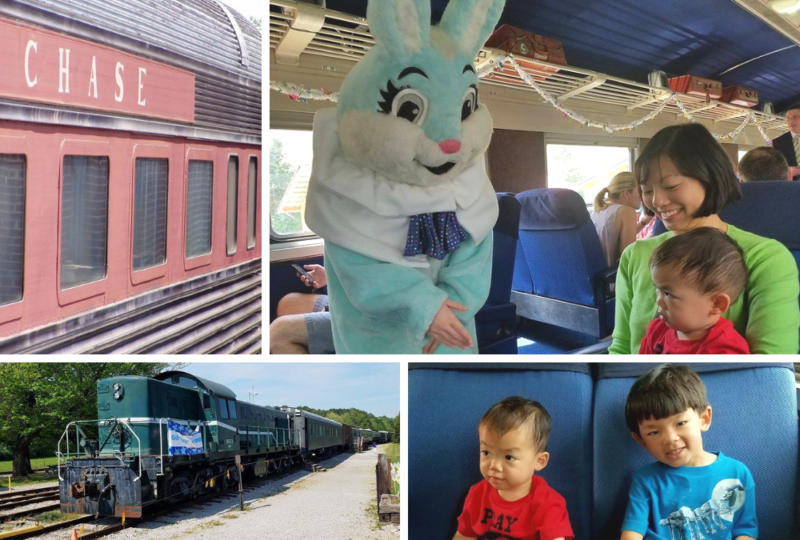 This annual Fall Color Special train ride is sure to bring a smile to young and old alike. Our large windows create the perfect picture frame for the colors of autumn. Be sure your camera batteries are charged as we travel along five miles of track in search of colorful trees and falling leaves. This traditional train ride is always a popular one, so be sure to make your reservations early! Join us on November 3rd for our Fall Festival – We have a lot of FUN planned out for the whole family! This is a free event for family with children under 10 years old. We will have games, crafts, face painting, free play in the gym, specials, and prizes! Join us for Mable Hill Baptist’s first annual craft and vendor event! We will have LuLaRoe, woodworking, vinyl crafters, essential oils, jewelry and so much more. Come join us and get your Christmas shopping done early! 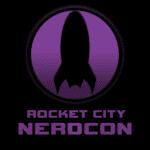 Rocket City NerdCon (RCNC) is a celebration of all things nerdy…if your fanaticism for pop culture, comic books, movies, tv, books, games, collectibles, crafting, cosplay, LARPing, etc. borders on obsessively nerdy, this is the place for you! Come meet other people who geek out over similar subjects, and let your inner nerd flag fly. Tickets are good for the whole weekend, and you must have a ticket to enter panel rooms, workshops, and select kids’ events. NEW THIS YEAR: Adults have the opportunity to let their little ones enjoy Kids Camp during Saturday’s Rocket City NerdCon, so adults can enjoy the convention knowing their kids are in a safe place while enjoying Harry Potter-themed activities. Kids Camp is only on Saturday, Nov. 4 (ages 5-12, 9:30-11:30AM and ages 8-18, 4-6PM) and there is a $5 supply fee.